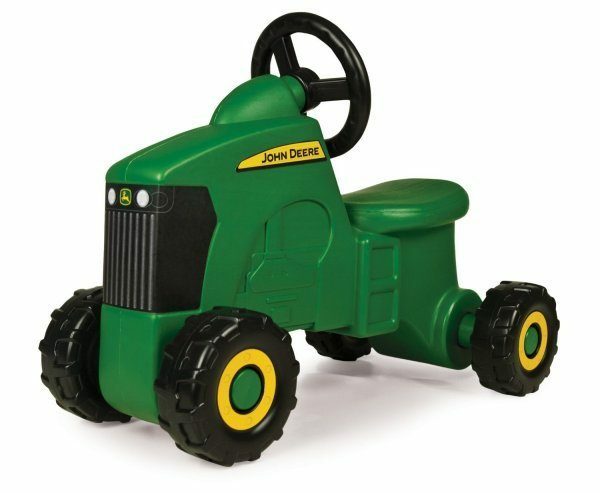 John Deere Sit-N-Scoot Tractor Only $17 + FREE Prime Shipping! You are here: Home / Great Deals / Amazon Deals / John Deere Sit-N-Scoot Tractor Only $17 + FREE Prime Shipping! Christmas gift idea alert – get this awesome John Deere Sit-N-Scoot Tractor for just $17 (reg. $39)! Shipping is FREE with Amazon Prime! Your little John Deere lover will be SO excited to find this under the tree! And, this is a GREAT price!